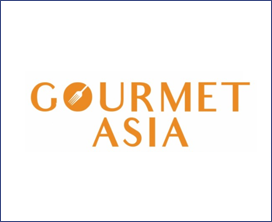 The inaugural Gourmet Asia is a premium trading platform, powered by HOFEX – Asia’s Leading Food and Hospitality Tradeshow, for high-end speciality food, drink & hospitality equipment. Timely launched from 9 – 11 May 2018 at HKCEC, Gourmet Asia will be the only B2B tradeshow in Hong Kong in the first half of inventory year, for industry proprietors, owners and decision makers to source fine food and beverages, upscale hotel design, supplies and accessories. Early bird offer is for limited time only. Ask us about the most anticipated tradeshow in 2018 now! This is the second occasion where we participated in HOFEX. We met with many international foodservice suppliers and traders who agree that Hong Kong is a top location, and HOFEX is an excellent trading platform for expanding business and for exploring new ideas. Few other trade shows can connect so many F&B traders on such a regional scale. Congratulations to HOFEX on a successful event! Gourmet Asia offers an ultimate showcase of the most exquisite foods from around the globe such as caviar, foie gras, cheese, seafood, premium meat, truffles, gourmet chocolate, oils and vinegars, fine tableware, innovative technologies and many other gastronomy delights.